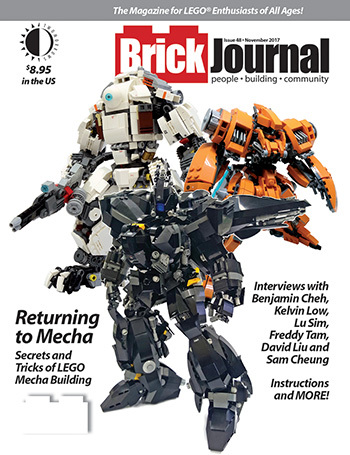 BrickJournal #48 ships today, with secrets of building LEGO® Mecha creations! Preview the issue, and pre-order your copy at 15% off HERE. Or subscribe now so you don’t miss an issue. This entry was posted in TNT on 21 November 2017 by Mr. Morrow. Mark Voger’s follow-up to Monster Mash is now shipping, and it’s GROOVY, baby! Subtitled “When Flower Power Bloomed in Pop Culture,” GROOVY looks at comics, music, TV shows, and more areas that were influenced by the hippie movement of the 1960s, and features interviews with (and amazing photography of) icons of grooviness such as Peter Max, Brian Wilson, Peter Fonda, Melanie, David Cassidy, members of the Jefferson Airplane, Cream, the Doors, the Cowsills and Vanilla Fudge; and cast members of groovy TV shows like “The Monkees,” “Laugh-In” and “The Brady Bunch.” GROOVY revisits the era’s rock festivals, movies, art—even comics and cartoons, from the 1968 ‘mod’ Wonder Woman to R. Crumb. This book is a fun departure from our comics-centric output, and just like Monster Mash, Mark’s hit this one out of the park. 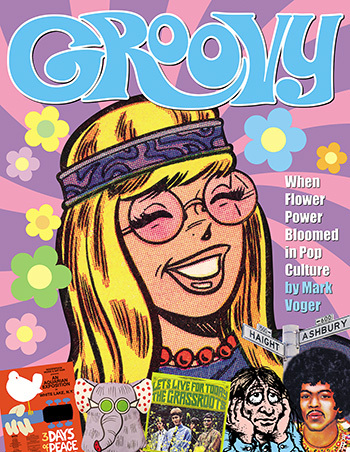 GROOVY is available to preview, and purchase in both print and digital editions now at THIS LINK! This entry was posted in TNT on 15 November 2017 by Mr. Morrow. Plus all MODERN MASTERS volumes on sale (as low as $5.98 each, with free Digital Editions)! This sale is for two weeks only, and ends on Thanksgiving, November 23! Find the full list HERE! This entry was posted in TNT on 7 November 2017 by Mr. Morrow.